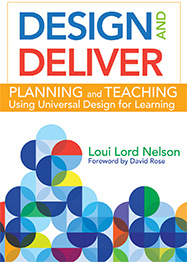 Design and Deliver: Planning and Teaching Using Universal Design for Learning is a practical guide to understanding the UDL framework in action. The book has three sections and can be read in any order. The first section shares the foundation of UDL and dispels common myths. The second section has three chapters, each written in alignment with the three principles. The chapters break down the principle, guidelines, and checkpoints offering classroom examples and connections to background research. The last section of the book delves more deeply into the design of learning environments and lesson plan development. With thousands of copies sold, it continues to be recognized as a foundational component to any educators understanding of UDL. they share how culture, context, and language shape learning and how to apply culturally responsive teaching to second- or dual-language learning. they offer classroom examples, easy-to-read tables, illustrations to help communicate complex ideas, and reflection questions at the end of each chapter to encourage readers to think deeply about the topics presented. 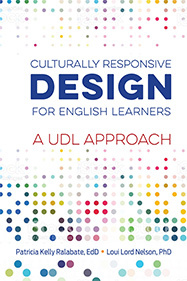 Released in October of 2017, the book has taken hold in the UDL community and is spreading throughout the community of English learner educators.